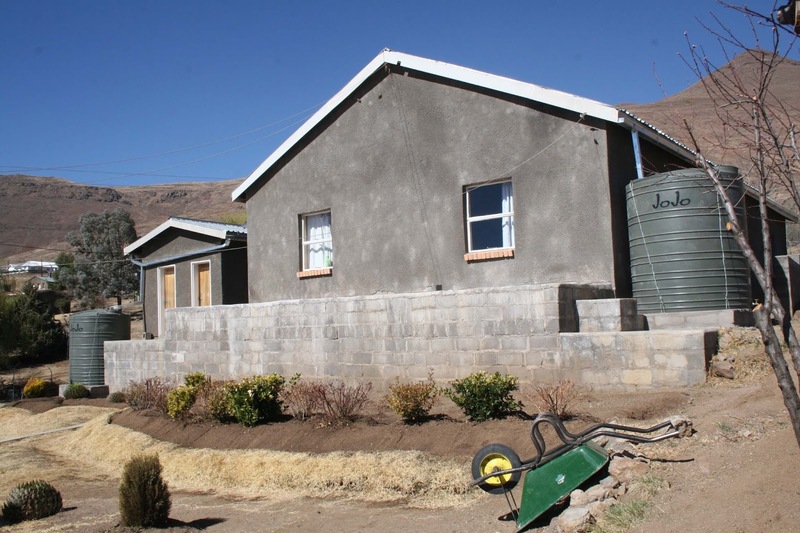 Over the past couple of years, the Town of Gummersbach, Germany (and more specifically die Aktionsgruppe Gummersbach der Welthungerhilfe /Initiative für Kinder in Lesotho) has helped Touching Tiny Lives (TTL) become more “green.” They have supported several environmentally friendly sustainability projects, including a solar electric system for the safe-home, three solar water heaters (geysers), and recently a roof water catchment and storage system. 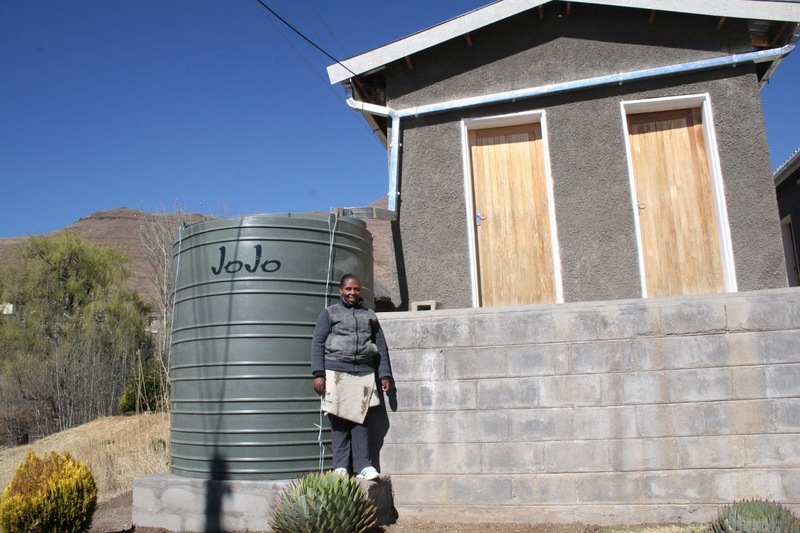 The new roof water catchment and storage system was finished this week and is comprised of gutters on two buildings directing water to two 5000 liter (about 1300 gallons) storage tanks. 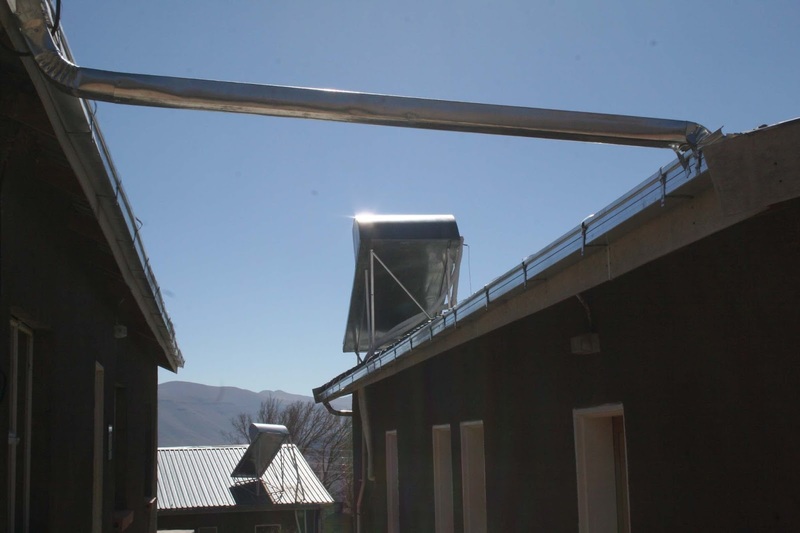 The water captured from the roof will be used to wash TTL vehicles and water TTL’s expansive vegetable garden and plants. 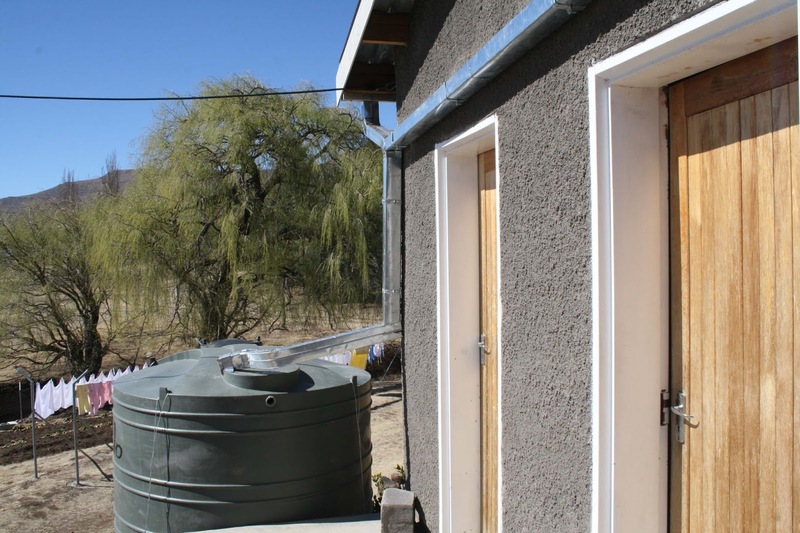 Not only do the gutters help direct the water to the storage tanks, but they also have the added benefit of preventing soil erosion around the buildings’ foundations. Why are “green” or environmentally friendly projects so important to TTL? 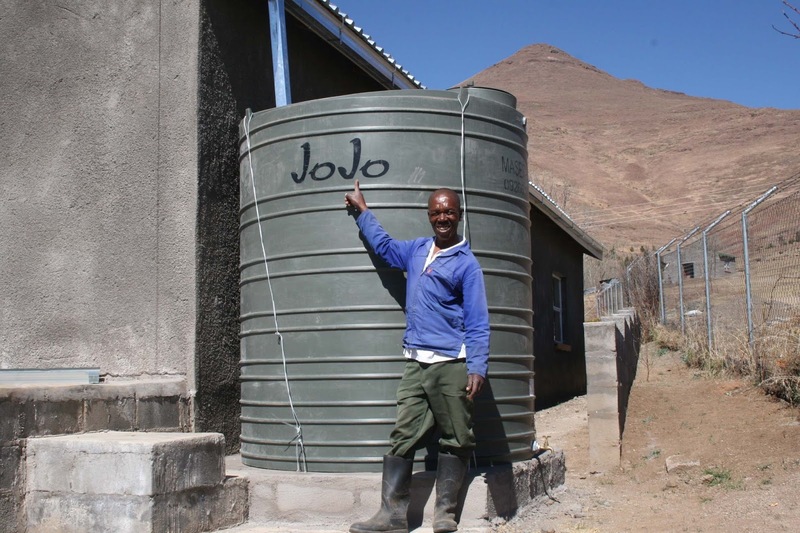 The first, and perhaps most obvious reason, is that TTL is being a responsible local organization by using less of the Lesotho’s limited resources. The second reason is these projects promote TTL’s long term financial sustainability and ultimately help save baby’s lives. 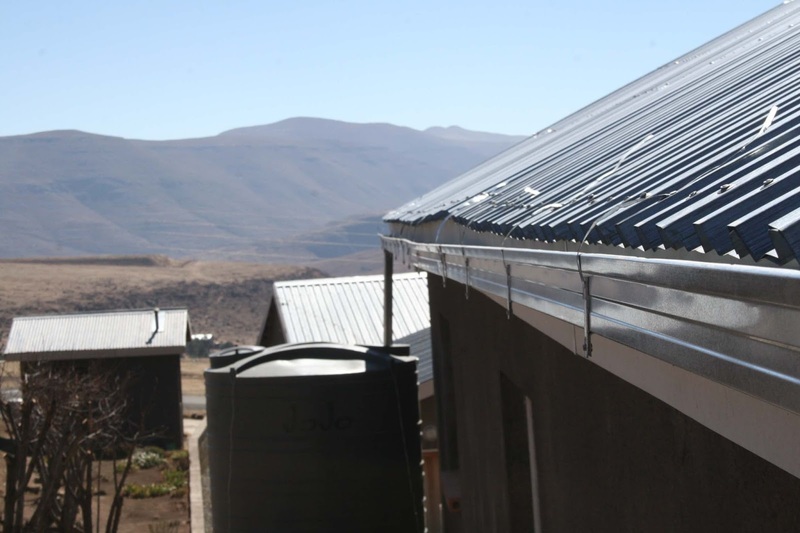 This is a bold statement, but here is the bottom line: by reducing overhead costs such as water, heat, and electricity, the more TTL can spend directly on resources to save the lives of beautiful Basotho babies. TTL takes pride in how donor money is utilized and the creative ways we save and earn money. Double sided printing, selling vegetables from our garden, using food from our garden in the safe home, and having guest housing available for rent are all ways to put money towards where it belongs: on resources that save children’s lives - like medical supplies, food, and caregiver education. We appreciate Gummersbach for helping with our “green” projects – because we know, ultimately, the savings realized goes directly towards saving lives, one child at a time. Vielen Dank to Gummersbach!